The idea of a fully amphibious tank (one which could not only ford rivers but actually “swim” across any water surface) was not new. Some attempts had been made as early as 1917. However, production of a satisfactory model first came to the Carden-Loyd team, already successful with its tankette designs. The company was integrated into Vickers by 1930. The Carden-Loyd amphibious tank was a simple light model with buoyancy and stability partly provided by two hollow mud-guards. Unlike the Mk.VI tankette, it was equipped with a revolving small turret armed with a machine-gun. The tests of the A4E11 amphibious tank were well publicized worldwide and drew attention from the Red Army UMMRKKA (Department of Motorization and Mechanization of the Workers–Peasants), which obtained plans and detailed specifications. The Bolshevik OKMO plant in Leningrad attempted to replicate a first model (known as the Selezen prototype), as the Morskoi 33 (T-33). It was ready for trials in March 1932. It didn’t perform as required, and was too complicated for mass-production, and therefore rejected. The second prototype was given to the new Number 2 plant of the All-Soviet Automotive Union, under the supervision of N. N. Kozyrev, who designed the T-41. Larger and heavier, it was propelled by the T-27 powertrain, a sturdy GAZ-AA engine (produced under Ford license) and the same transmission and tracks. A rigid gear clutch was designed for the rear propeller. The chassis was borrowed from the T-33. As such, this new prototype was easier to produce but was nevertheless rejected, although it led to a new model, the T-37. The T-41 was produced in small numbers for trials. The T-37 was a derivative of the first, with a Krupp chassis and many automotive parts. This prototype was thoroughly tested and once again rejected at first. Meanwhile, Vickers was denied any prospects of a contract with the army for its amphibious tank and turned to foreign exports. Commercial negotiations began in February 1932 for eight machines to be delivered, unarmed, to the Arcos Cooperative. The deal was signed in June, and the first two were shipped to Russia and well studied, which led to the design of the final T-37A. The new unit charged with the design and mass-production was Factory No. 37 (a reunion of all design bureaus working on the amphibious tank project). Soon, an optimistic 1200 units order was placed. However, because of the obsolete equipment available and the complex tooling and processes required, any production was delayed until 1933. The main sub-contractor, Podolsk Electric Locomotive Plant, already producing the T-27, lacked the appropriate materials and found the T-37A hull much more complicated to built. The T-37A production entered full swing in 1934 (only 124 had been delivered by January) and gradually caught up to the original plan. Largely based on the Vickers design, the T-37A was only superficially a simple machine. It had a large (1/2 length/width ratio), low rectangular hull, with rounded ends for better hydrodynamic qualities, high “mud-guards” which also served as waterwings, with the GAZ-AA engine at the rear, driver compartment on left and turret on the right. Many design changes occurred, notably to further ease production. Production of the hull was rerouted to the Izhorsky plant in Leningrad (which assembled only welded hulls), the curved stern pieces were stamped, the hollow track float-covers were filled with cork or balsa and the hull sides were thickened to 10 mm (0.39 in). The armor was only sufficient against infantry fire. The drive train comprised a front drive sprocket, rear idler wheel, two sets of twin road wheel sprung bogies and two return rollers. The GAZ engine had a 13 hp/tonne ratio and was fed with 100 liters of fuel. A small retractable three-bladed shaft propelled the tank forward or backward, with additional grip using the tracks. Steering was made possible by a small folded tail when submerged. The 7.62 mm (0.3 in) DT model 1929 machine gun had an 840 m/sec (2755 ft/s) muzzle velocity, 600 rpm rate of fire and a useful range of 800 m (2625 ft). Only a few were provided with radios (like the T-37TU and T-37U commander versions). Communication was mainly accomplished by the use of flags during operations. On the later series, a new commander cupola was fitted to the turret. 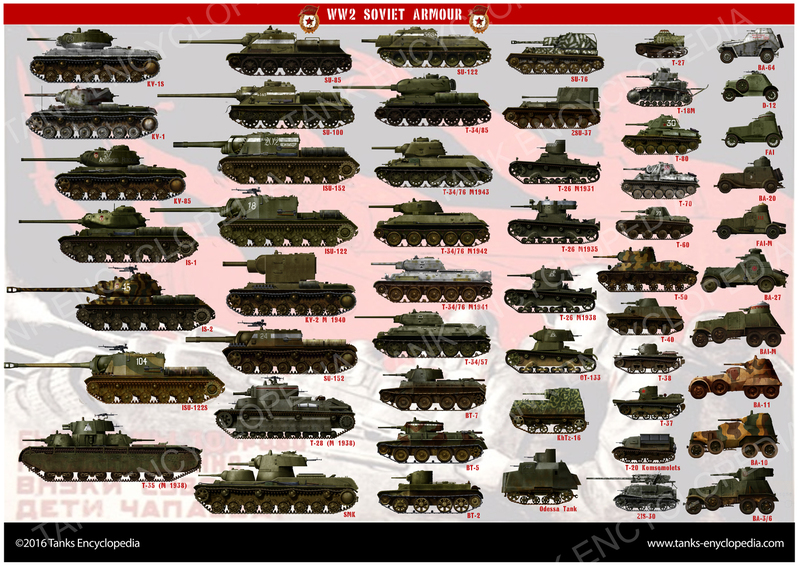 In 1935, the original 800 order was filled and by the fall of 1936 the entire series of 1200 T-37As (including prototypes) had been honored, making this model the most produced amphibious tank of the time. It was largely eclipsed later by the thousands built for the US Marines (LVT Alligator) and Army (DUKW) during World War Two. The T-37A was not designed to see action against any other AFVs, but rather for reconnaissance, screening, communication and active infantry support. Their amphibious capabilities were particularly useful in many areas judged impassable. In 1935, some attempts were made to test the concept of airborne armored forces, using one of the lightest tank available (the T-37A) and the impressive TB-3 heavy bomber, converted to carry up to three of these, at least on paper. But the tests were unconvincing. These machines saw service during the invasion and occupation of Bessarabia in 1940. During the Winter War in Finland, the T-37A performed well with mechanized and cavalry units of the Red Army, duly painted in washable white. By summer, they soldiered in marshy areas and the many lakes of eastern Finland and many were affected to separate independent reconnaissance units in the Pripet area. The Finns, however, succeed in capturing no less than 30 T-37As until 1944, most repaired and pressed back into service, and well as some T-38s. The typical platoon comprised of a command radio version (T-37U or TU) and up to eight T-37As. In June 1941, they took the brunt of the German offensive, lacking armor and used to support infantry in desperate situations, their losses becoming appalling. The survivors were either shipped to rear sectors for training or auxiliary defense units. They were replaced by the T-38 and T-40. Many survived to this day, some in working condition, including at least three that took part in the Red Square 2011 memorial parade. T-37A model 1933 early production version, Kiev large maneuvers, 1935. A white cross was painted on the turret top for aviation. A camouflaged early production T-37A, part of the September 1939 Polish invasion. T-37A during large scale maneuvers, Kiev, 1935. Notice the camouflage variant with clear green spots. The red band identifies a “home” unit. T-37U radio tank used by a battalion commander. Unknown unit, prewar spotted camouflage. Early T-37A of the organic Independent Recce Battalion of the 11th Tank Brigade, Halha River, battle of Khalkin Gol, May 1939. T-37A of the 172nd Reconnaissance Separate Battalion attached to the 142nd Rifle Division. It has prewar unit markings denoting a tank from the 2nd company/1st battalion. Northern front, July 1941. T-37A in winter livery. It belonged to the 9th Army Zone, 177th independent reconnaissance battalion of the 122nd Rifle Division, Finland, December 1939. T-37TU (radio version), 177th Separate Recon Battalion of the 122nd Rifle Division, Finland, January 1940. Captured Finnish T-37A, spring 1941.